Hoya kerrii is a climbing plant that can grow up to 4 meters high (around 13 feet). Stems have a diameter of 7 mm. The leaves are 6 cm wide, 5 mm thick. Adult plants show inflorescences of 5 cm diameter and up to 25 flowers. They produce small balls of nectar, coloured red to brown. They smell only faintly or not at all. 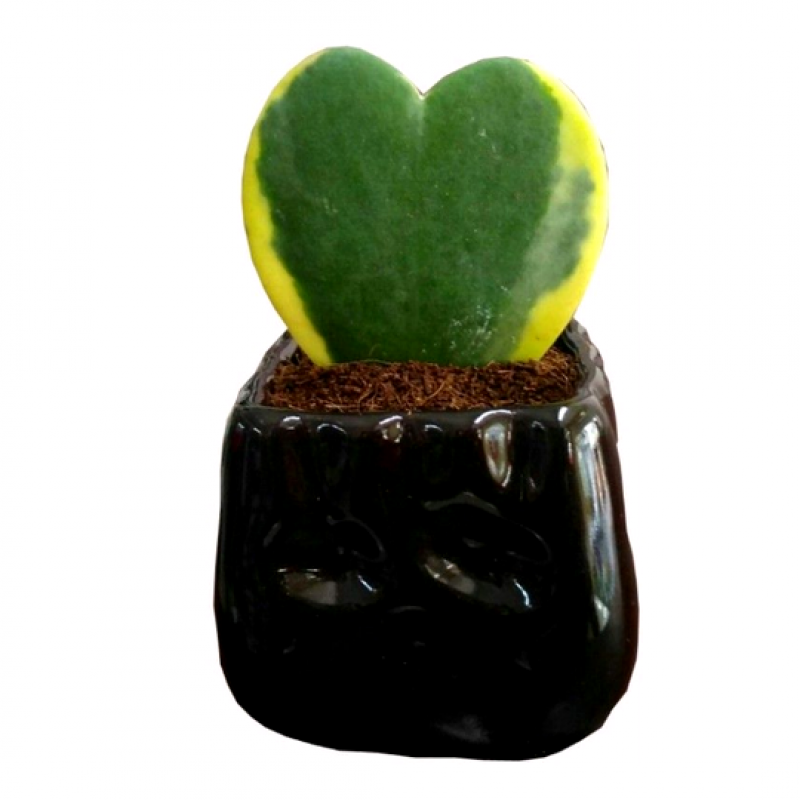 For the right person this is the perfect Valentine's gift to give or receive and this is the reason this plant sometimes goes by the name Valentine Hoya. This plant will need a reasonably light room in order to actually grow, although it will still get by even if you pick a shadier spot, very dark places need to be avoided though. Sunlight is acceptable too, so in reality you could position it almost anywhere in your home or office. Only a little feeding is required if the plant is small or exists as a single leaf. Twice a year at most. If you've an older plant or that single leaf is throwing out new shoots you can feed a little more. Even then though you don't need to be doing it more than four times a year. The Sweetheart Plant is not a very heavy feeder. plants height with pot is 6 inch and pot size is 3 inch diameter.